The countdown begins: 100 days until Maersk launches the world’s largest cargo ship. Maersk Triple E vessel is some four-hundred meters long and 73 meters high. 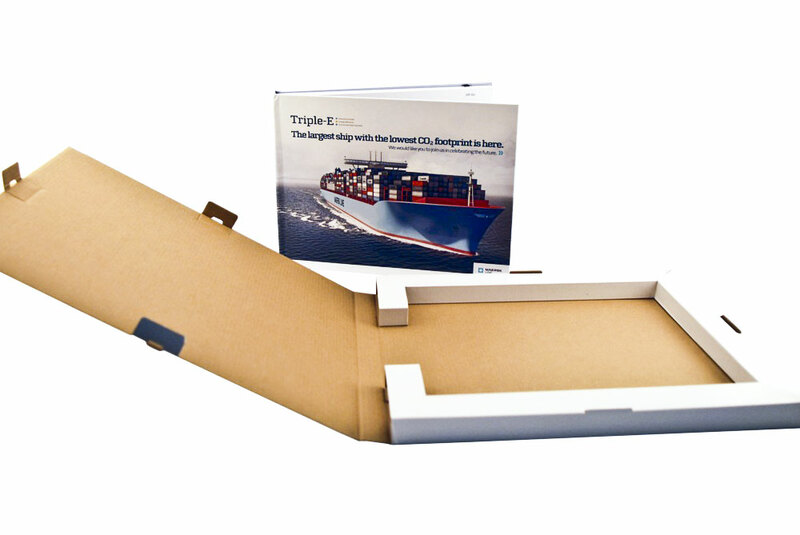 Triple E holds 18,000 twenty-foot containers and weighs more than 52,000 tons. But size is not everything this vessel has to offer. In fact, it’s all in the “E” -- Energy efficiency, Economy of scale, and environmentally improved. The Triple E will emit 20% less CO2 per moved container, save nearly 10% of engine power, and travel more than 180 kilometers using 1 kWh of energy per ton of cargo compared to a jumbo jet traveling half a kilometer needing the same amount of energy. How do you announce something of this scale properly? 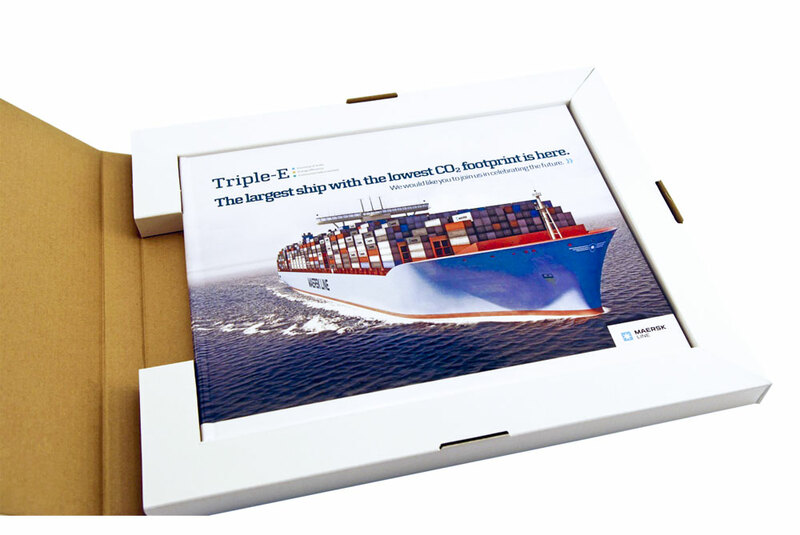 Maersk and Americhip joined forces to create an impressive media kit to announce the world’s largest cargo ships which will be delivered in June 2013. 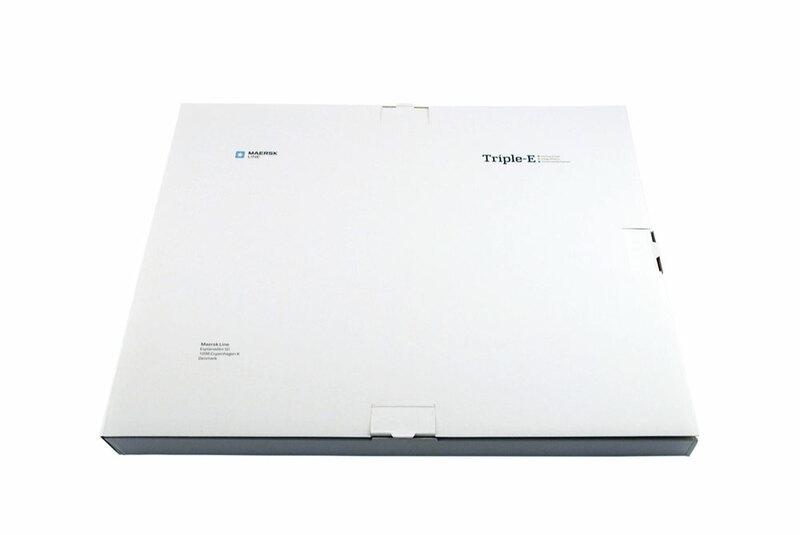 Americhip produced a high-end coffee-table sized casebound book with patented Video in Print™ screen. Through the VIP® Technology, Americhip was able to provide compelling video and animation highlighting key information about the giant vessel. 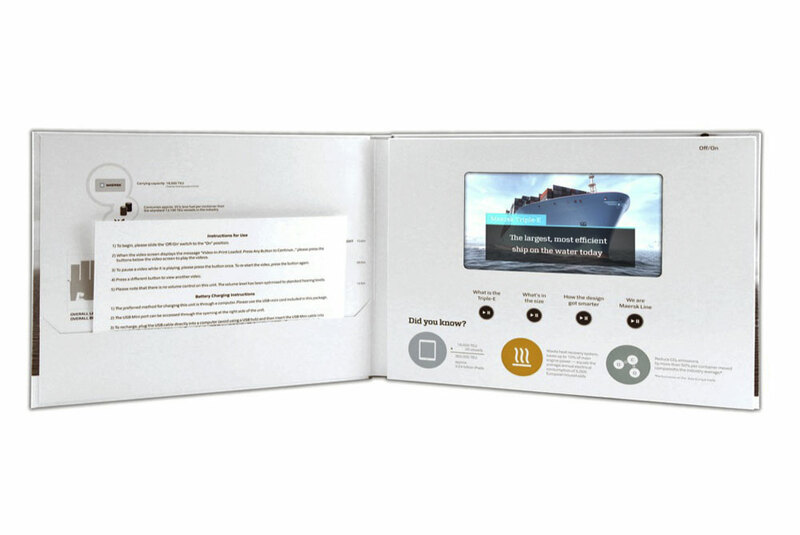 From hardware to design to logistics, Americhip’s innovative videobook showcases Maersk’s state of the art technology and how Triple E class represents a more energy efficient and eco-friendly cargo ship. Video in Print is an innovative marketing and advertising technology created, developed and patented by Americhip. 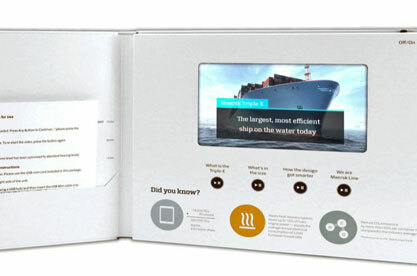 Capturing a new generation of the world’s largest fleets is just one of the wide varieties of products made possible using high quality videos set in paper. For more information contact Americhip today and learn how we can help you connect with customers and brands. Americhip is a global leader in design, development, and production of advanced communication tools.